The NATS Artist Awards (NATSAA) Intermountain Regional Competition was held March 8 and 9 at Whitworth University in Spokane, Washington. 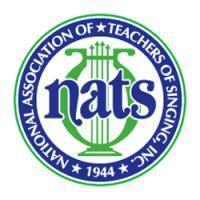 NATS Calgary teacher, Rachel Goldenberg, won first place and will represent the Intermountain Region in the NATSAA semifinals at the NATS National Conference to be held this July in Boston. Good luck Rachel!